Today’s focal verse captivates my heart every single time I read it. It’s like it’s truth just reawakens within me this resounding reverence for The Presence of God and the promise of His Word. I’ve read the Bible almost everyday for the last 9 years, but over the last several months, I’ve really made a conscious effort to not just read The Word, but to truly sit with it, camp out in it, soak in it, feast upon it, revel it’s truth, earnestly and deeply meditate on it’s promises, and just internalize it’s every word. Or as today’s focal verse simply, yet powerfully puts it— wrap myself in IT. Abba, You are our place of quiet retreat, and Your wrap-around Presence becomes our shield as we wrap ourselves in Your Word! So, just imagine with me for a moment that every time you engage with, feast upon, or marvel at The Word of God, what you’re actually doing is wrapping yourself in it’s promise. Which would mean that as you wrap yourself in it’s promise, you are in fact wrapping, enveloping, encasing, and covering yourself in Jesus Himself, Who is The Word’s Living Expression. This morning, I would like to leave you with this one question to ponder. Is there anything in this life more vitally essential, beautifully true, and unquestionably powerful than The Word, Who is Jesus Christ, Himself? And in closing, my prayer for you guys is this: that you would be wrapped, clothed, and immersed in The Word daily wholly becoming one with it’s truth. In Jesus’ mighty name, I pray that you would abide and live in life-union with Christ and never, not even for a single moment be separate from The Life, Love, and Truth that is Him. As most of you guys know, “A.S-K.S.” has partnered with Jerusalem Nano Bible and as you can see today’s blog post is entitled “Wrapped In The Word”. One of the reasons this collaboration means so much to me is because I am a genuine lover of The Bible and with Jerusalem Nano Bible, you can wrap yourself in The Word of God— literally. It is truly an honor and a privilege for me to partner with JNB and to be able to share that here with you guys. So, to find out more information about the Jerusalem Nano Bible and our partnership, please click here! 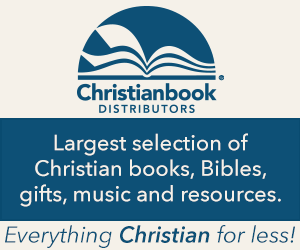 And when you shop with Jerusalem Nano Bible, please be sure to use the discount/promo code ASKS10 and you will receive a 10% discount on all of your purchases from them and shipping is free worldwide! The Lord has been impressing it upon my heart to start sharing via podcast and via video, so if you guys enjoy or have been encouraged by the content here at “A.S.-K.S.”, please do me a favor and subscribe to my YouTube channel by clicking here and please stay tuned for the links to my podcast! Content for the “Sunday Soul Kiss” podcast and vlog will be available on both platforms very soon! And last but not least, I know that a lot of you guys already know that “A.S.-K.S.” now has it’s own brand, Holy Kisses from A.S.-K.S.. To find out more about the brand and how it was birthed, please click here. 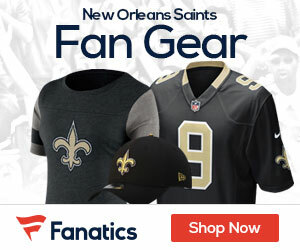 You can also swing by and check out the online store by clicking on the Holy Kisses banner above. This week’s Sunday Soul Kiss creative spotlight shines on my lovely, creative friend, and fellow blogger Tayrina Gonzalez, who makes beautiful Christian/faith-inspired key chains, bookmarks, decorated notebooks, and more. I bought the key chain that you see below from her online shop and I just love it! Click on the following link to purchase: Amazon (Paperback)! This week’s Sunday Soul Kiss book of the week was written by the beautiful, creative heart, Jenny Randle! As a believer and a creative heart, “Courageous Creative” is absolutely one of my MOST favorite books! This 31-Day interactive devotional was SUCH a huge blessing to me in so many ways. It encourages, inspires, and empowers creatives to create frequently and fearlessly and I can’t even begin to tell you how freeing that notion has been for me. I pray it does the same and more for you! I will be giving away 2 free copies. 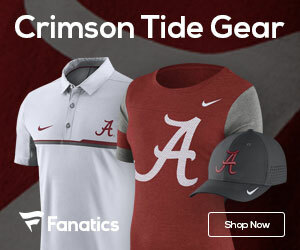 The winners will be chosen on 3/31/19. If you’d like to enter, you can do so by simply leaving a comment of this post. Click on the following links to purchase: iTunes / Amazon Streaming, MP3, or Audio CD! Enjoy one of my favorite songs from this week’s Sunday Soul Kiss album of the week! Happy Soul Kissed Sunday and Happy Saint Patrick’s Day! Sending you all heavenly hugs and holy kisses! I love you guys! If you would like for me to pray for or with you, please click here. How electric and life-giving are those words?! Just in spending intimate time with The Lord, it has amazed me how notably the truth of those very words have just adhered to my spirit and been a constant reminder of how dynamic The Word really is. And in me taking the time to reflect upon that truth, it reminded me of yet another truth that mustn’t be negated. And that truth is, that our words as in the words that we’re speaking daily are paramount. The Bible says that death and life are in the power of the tongue and those who love it will eat its fruits. (Proverbs 18:21) So, the question to ponder then becomes, what are we speaking forth over our lives, our families, our friends, the dreams of our hearts, and our destinies? The Bible also says, “What comes out of the mouth is what’s overflowing in the heart.” (Luke 6:45) What that says to me is, that what we say is what we truly believe in our heart of hearts not only about ourselves, but also about those around us as well. I would like to propose that we should intently mull over what we’ve been speaking forth and if our thoughts and words don’t line up with the truth of who God says we are and who He’s created us to be, then we need to replace those thoughts and those words with His truth. We not only need to meditate on the perfection of the promises within The Word of God, but sit with Him in the secret place, ask Him to speak to us His truth— that eternal truth that He spoke over our lives from the moment that He first thought of us, listen for His voice to sweetly whisper the truth of who we are into our hearts, and then began to prophesy that truth over our lives. As we position ourselves to start speaking life over ourselves and others everyday, here are 4 powerful little gems/tokens of truth for us to store in the treasure chest of our hearts and minds. As we enter into this new year, let us hold the truth of those 4 things in our hearts, being fully aware of the efficacy that lies within the words that we speak, and knowing that above all else The Word of God will always stand firm, outshine, and reign supreme over the blatant lies of the enemy. In closing, my prayer is that we would unequivocally accept and receive The Word of The Lord as the infallible truth that it is and prophesy that truth over our lives, our loved ones, our hopes, our talents, our gifts, and our dreams allowing The Lord to breathe life into, upon, and within our own personal “valley of dry bones”. 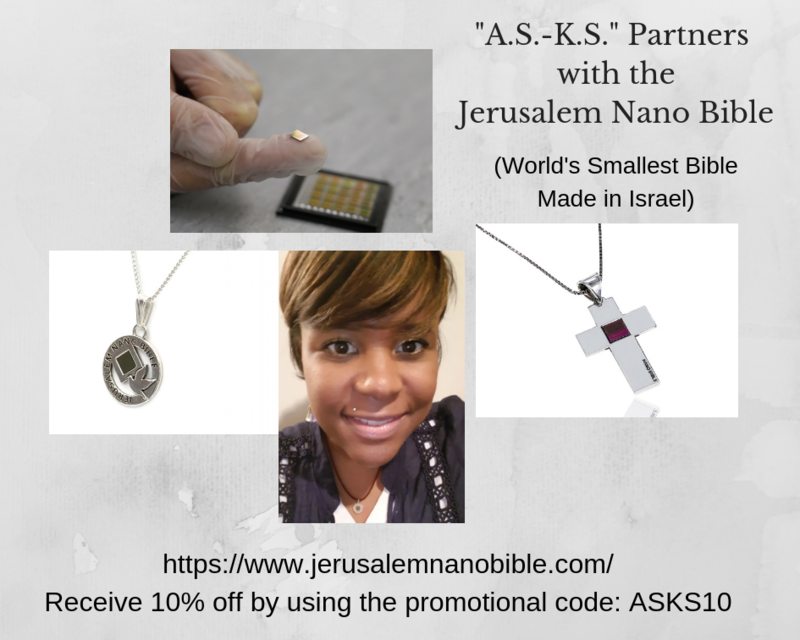 As most of you guys know, “A.S-K.S.” has partnered with Jerusalem Nano Bible and I am so very honored and far beyond excited about our collaboration! This collaboration is very dear to my heart and sincerely means a lot to me. So, to find out more information about the Jerusalem Nano Bible and our partnership, please click here! 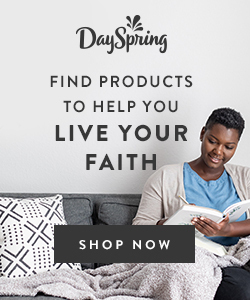 And when you shop with Jerusalem Nano Bible, please be sure to use the discount/promo code ASKS10 and you will receive a 10% discount on all of your purchases from them and shipping is free worldwide! Also, The Lord has impressed it upon my heart to start sharing via podcast and via video, so if you guys enjoy or have been blessed by the content here at “A.S.-K.S.”, please do me a favor and subscribe to my YouTube channel by clicking here and please stay tuned for the links to my podcast! Content for the “Sunday Soul Kiss” podcast and vlog will be available on both platforms very soon! Click on the following links to purchase: Amazon (Paperback) / Kindle / ibooks! 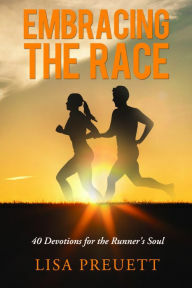 This week’s Sunday Soul Kiss book of the week was written by my amazing friend, Debbie Kitterman! “The Gift of Prophetic Encouragement” is on my top 5 list of must reads. I was incredibly blessed by it and I can promise that you guys will be super blessed by it as well. I will be giving away 2 free copies. The winners will be chosen on 1/15/18. 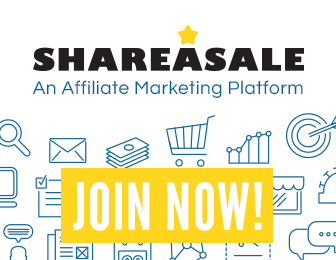 If you’d like to enter, you can do so by simply leaving a comment of this post. Debbie also has a really great reading plan on the YouVersion Bible App called #BETHEGIFT Someone Needs Today, so be sure to check it out as well! Happy Soul Kissed Sunday and Happy New Year! Sending you all heavenly hugs and holy kisses! I love you guys! 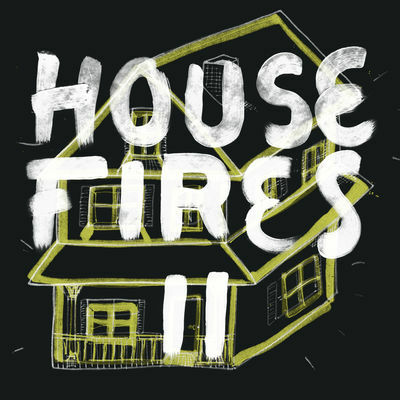 Back in February, I went to two different conferences that greatly impacted and empowered my life: “Fire 18” in Jacksonville, FL and “Glory Nights” in New Orleans, LA. To be completely honest with you, I’m still processing and reflecting upon the experiences and encounters that I had at both, but I’ve felt that Holy Spirit is leading me to share this one experience with you guys that happened on one of the nights of “Glory Nights New Orleans”. With that being said, I’m going to attempt to describe what was happening during worship that night just to try to paint a picture for you of what the atmosphere in the room was like. There was a room full of beautiful-hearted people that genuinely love Jesus and we were all just singing and worshiping The Lord. So, right from the very beginning, The Presence of God was already permeating and starting to completely saturate the entire room. If you were to take a quick glance around the room you would see people lying on the floor, sitting, standing, and just in their own sacred space with The Lord. Everyone on my row happened to be standing as they were worshiping including me and I heard The Lord say, “Sit on the floor with Me.” There really wasn’t much room to sit unless you had already moved to the one of the aisles or to the front or the back of the room prior to worship starting. So, I just quietly sat down Indian-style on the floor in front of my seat with my hands and heart open and ready to receive. What I’m saying is, this picture that I was seeing of The Lord sitting in that chair as I’m sitting on the floor with my eyes closed felt and seemed incredibly familiar to me. It had a very nostalgic feel to it in the sense that what I was seeing in the spirit had begun to evoke real emotion from me in the natural. I began to weep and I felt this love that I don’t even have the words to accurately describe to you and then I started to remember all these very precious moments that I had growing up with my Dad and my Grandpa both whom I was incredibly close to, but have gone on to be with The Lord. Today’s focal verse says, He raised us up with Christ The Exalted One, and we ascended with Him into the glorious perfection and authority of the heavenly realm, for we are now co-seated as one with Christ! For we are co-seated as one with Christ! I’ve been sitting here mulling over how beautiful and incredibly powerful that is. I wanted you to be able to see how The Lord will take you on this sweet, intimate journey with Him and bring up memories that are precious to you just to show you the depths of His heart for you and how He intimately knows you. I wanted you to understand how those memories can be directly related to the relationship that He’s trying to either establish or richly deepen with you. I don’t believe that this experience was just for me. I believe that it is for the body of Christ as a whole. And so, I felt that you should know or be reminded of the fact that, you have an ever-extended invitation from The Creator of the universe Himself also known as our Abba Father to climb up into His lap, rest your head upon His heart, and be one with Him. As we reflect upon today’s focal verse, my prayer for us is that that we would take it to heart, cling to and rest in it’s truth, and then view and live our lives through the lens of the promises within that truth. Happy Soul Kissed Thursday! Sending you all heavenly hugs and holy kisses! I love you guys! 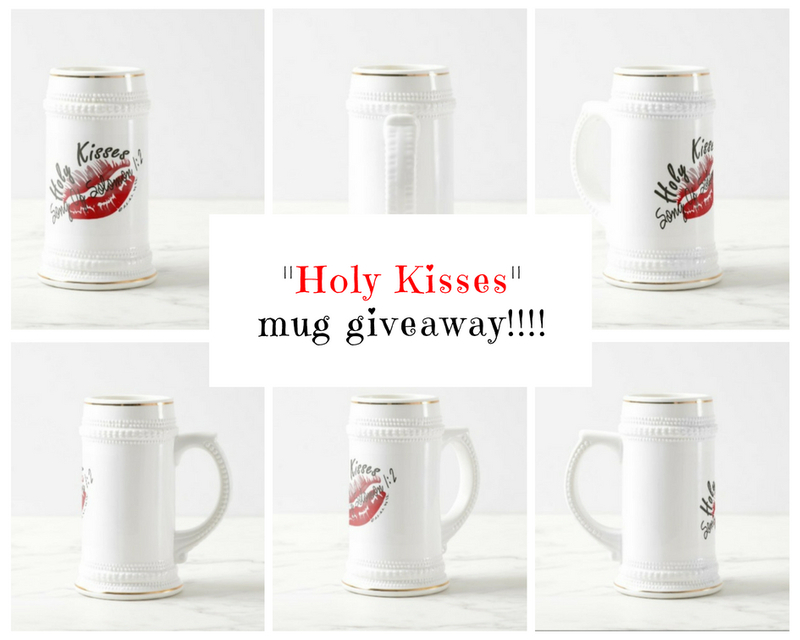 To enter the “Song of Solomon 1:2 – Holy Kisses” mug giveaway, simply leave a comment on this post and a winner will be chosen randomly and notified via email and social media. The last day to enter will be June 15, 2018. To check out more items in the “Holy Kisses” store by “A.S.-K.S.”, please click here. Each morning as I sit with The Lord and just bask in His Presence, I find that I am continuously enamored by His love and His goodness. I’m always amazed by how sweetly Papa God lures me into His Presence as I worship Him and how tenderly He speaks to my heart as I just lie at His feet. If our bodies are temples that belong to The Lord— a place where His Holy Spirit dwells (1 Corinthians 6:19 VOICE)— where His kingdom lies within us (Luke 17:20-22 AMPC), then I would like to propose to you that perhaps when Papa says “you’ll seek Me and find Me when you seek Me with all of your heart“ (Jeremiah 29:11-13 AMP), it could simply mean that the deepest and most intimate place that you can find His Presence is actually within yourself. 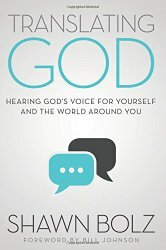 Perhaps, when He says, “Arise, My darling, My beautiful one, come with Me” (Song Of Songs 2:10 NIV), it could be as simple as stilling yourself and your thoughts long enough to find Him within yourself and from that place you can start this beautiful journey of being led and taught by His Spirit. From this place you have the honor and pleasure of being able to intimately and continuously commune and converse with Him or to simply just be with Him. I am a woman who fervently believes in having a secret place such as a prayer room or prayer closet where you can meet with The Lord daily. I’ve encountered and experienced Papa God in my own secret place in ways that I can’t even begin to describe to you, so I can tell you from personal experience that I know that The Lord will honor us seeking Him from those places. However, I don’t think that it’s the space or rooms in the physical places that we create to meet with Him that mean the most to Him. I believe that it’s the room and the atmosphere that we prepare and set within our hearts—that sacred space that we create within ourselves as His temples that truly capture His heart. That place on the inside of us is where He dwells waiting for us to still and silence everything else to meet Him there. That place is where our relationship with Him begins and is perpetually deepened. That place is sacred and it’s where we will always connect with and to Him in the deepest and most intimate of ways. It is there that He will reveal His heart to us and teach us the great and unsearchable things that we do not know (Jeremiah 33:3 NIV). We have this timeless invitation from The Lord to live in the truth of those verses every single day. Meaning there is never a moment where we can’t enter in and be with Him. It is my prayer that if you are reading this today, that you would accept Papa’s invitation daily and diligently seek His face from that sacred place within yourself where He is patiently waiting and longing to meet and be with you. Abba, I just want to start by saying that we are deeply in love with You and eternally grateful for the beautiful gift of the veil being torn allowing us complete access to intimately be and commune with You. You are so loving and so merciful— truly a good, good Father and perfect in all of Your ways. We are lovers of Your Holy Presence and we surrender our will to Yours with the sweetest longing in our hearts and souls to have more of You every single second of our lives. Lord, we make a covenant with You to seek You daily from the secret and sacred place on the inside of us where You patiently await to meet with us each day. Papa, we trust You, we honor You, and we thank You for the precious and powerful treasure that is Your Holy Spirit in which You have so graciously gifted and entrusted to us. In the name of Jesus Christ, Your precious Son and our Lord and Savior— I pray, Amen and so be it. Happy Soul Kissed Sunday! I love you guys! 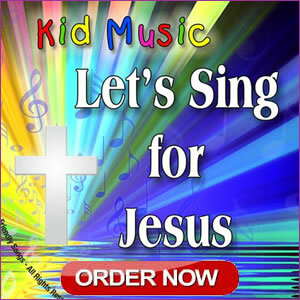 Click on the following link to purchase on iTunes! I actually have two books of the week for you guys this week from two lovely friends of mine who happen to be beautiful women of God. I pray that your hearts will be blessed by their words. I know that these books will be a great blessing to you all, but I have honor of giving away one signed copy of each. To enter, all you have to do is leave a comment on this post. I will be praying over each person who does and I’ll give the books away to the person(s) that I hear Holy Spirit saying could benefit from them the most. The winners will then be notified via email and social media. Click on the following links to purchase: Amazon (paperback) / Kindle! Click on the following links to purchase: Amazon (paperback) / Kindle / Barnes & Noble (paperback) / Nook / ibooks! Sunday Soul Kiss podcast coming soon! Today’s focal verse holds such a special place in my heart. On January 10th of this year, I had a dream in which I saw the words of this verse come to life. In this particular dream, I saw myself lie down and start to pray, yet there was this immediate cognizance that I was in Papa God’s Presence. The words of my prayers were leaving my lips and ascending before Him in what appeared to be hundreds of little folded journal pages. I didn’t have revelation of what the dream actually meant until I woke up the next morning, sat before The Lord in worship, and began to write it down in my prayer journal. It was in that moment, that Holy Spirit revealed to me that God was giving me heaven’s view and His perspective of what it looks like when I pray. He was allowing me to see how sacred and dear my prayers were and still are to His heart. I share this with you guys because if you’ve been a follower of “A.S.-K.S.” for any amount of time then you know that I’m avid prayer journaler. I keep record of my personal prayers, how Abba answers those prayers, and also how He speaks to me whether it be through His Word, dreams, visions, or simply just the sweetness of the inner voice of Holy Spirit whispering truth to and within my heart and spirit. You see, because God knows how much I treasure writing out my thoughts and prayers to Him, He designed the structure of my dream in a way that was special and personal to me and the intimate way that He and I converse in the secret place with one another. How many of you know that what The Lord did for me, He’ll do the same for you? He will reveal things to us in a way that is sacred to our personal relationship with Him just to let us know that He’s listening, but we first have to be willing to speak. I think sometimes in our humanness we may feel or think that our prayers aren’t heard or that they’ve simply gone unnoticed. But, I sit here writing you this morning as a living testimony that Papa not only hears, but sees our prayers as well. When we take the time to intimately commune with Him our words truly capture and ravish His heart. However, I believe the true treasure is found in His response to us. His answers to our prayers are always immersed within this profound love that is so pure, perfect, and true. His Words don’t just capture our hearts, but They cling to the soul and spirit radiantly providing light, love, hope, beauty, promise, life, and truth. It doesn’t matter how we choose to converse with God, the only thing that matters is that we do. Our words are sacred to Him whether they’re spoken or written. He just simply loves when we make the choice to be with Him. Just in casual conversation with other believers, I’ve found that praying doesn’t come natural to everyone. And not that there’s this secret magic formula that you have to remember when it comes to prayer. I think the majority of my most precious moments in God’s Presence have been the times that I’ve just sat with Him, spoken very little, but listened very intently. At the same time, I do believe that there are a few essential tools that help usher us into The Lord’s Presence and help us to connect with His heart a little more intimately. One of those things being a good devotional. 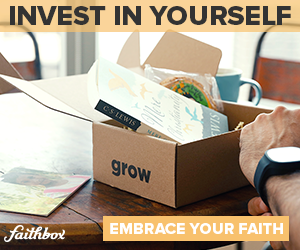 I say that because a lot of devotionals will not only aid you in becoming familiar with Scripture, but can also help you to commit and focus on setting time aside daily to be alone with God. A lot of them also end with a prayer that you can read through and speak over your life which I think can be helpful in developing a habit of praying everyday. 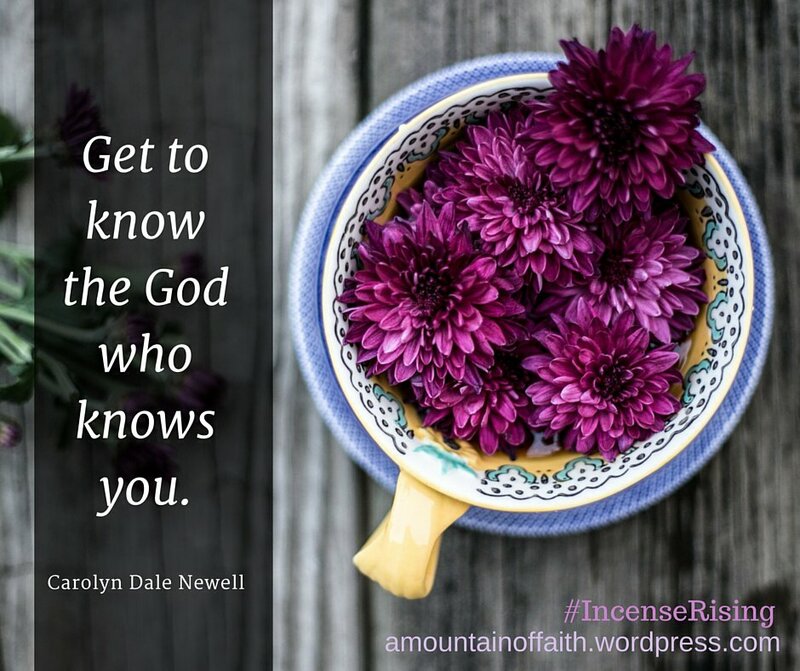 If I had to recommend a great devotional for you to read it would be “Incense Rising: 60 Days To Powerful Prayer” which was actually written by my lovely friend, Carolyn Dale Newell. Within the pages of “Incense Rising”, each day, you’ll find a different topic to focus on that will help inspire you to seek The Lord on a deeper level, a focal verse or passage of Scripture to read, an encouraging word from Carolyn, a verse to commit to memory, a recommended passage of Scripture that you’ll have to open your Bible to read, a different name of God that will help you to call out to Him more intimately, practical words from Carolyn to aid you in truly walking in your new found intimacy with The Lord, and then an ending prayer that all you have to do is read and receive. 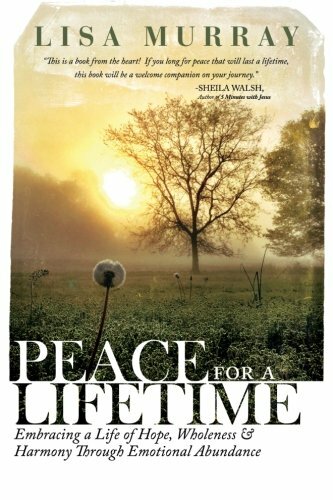 I know that this book will be an incredible blessing to you all, but I have honor of giving away only one signed copy. To enter, all you have to do is leave a comment on this post. I will be praying over each person who does and I’ll give it away to the person that I hear Holy Spirit saying could benefit from it the most. The winner will then be notified via email and social media. 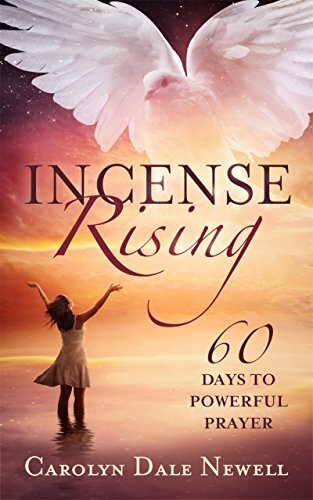 If you would like to purchase a copy of “Incense Rising”, you’ll find the links to do so located below in the Sunday Soul Kiss book of the week. In closing, this is my prayer for you: I pray that as you seek The Lord, He would fill and surround you with the precious gift that is His Presence. I pray that you would truly come to know Him intimately and that His pure and perfect love would overtake you drawing you deeper unto Him. I pray that your greatest joys would be found in the moments that you’ve simply said yes to being with Him. I speak life and love over you and I bless you in Jesus’ name— Amen and so be it! Click on the following links to purchase: Amazon (paperback) / Kindle / Barnes & Noble (paperback) / Nook / Books-A-Million (paperback) / iBooks / E-book at Smashwords for all other formats! The Song of Solomon is one of my most favorite books in the Bible. I’ve read it countless times and every single time I read it, Holy Spirit whispers to my heart another little divine nugget of it’s precious truth. So with today’s focal verse in mind, I’m going to take you on a little journey to reveal just a token of that truth. As many of you know my heart truly values intimacy with God. Quite often as I’m praying or even just simply soaking in His Presence, He’ll bring a verse or a particular passage of Scripture to mind. 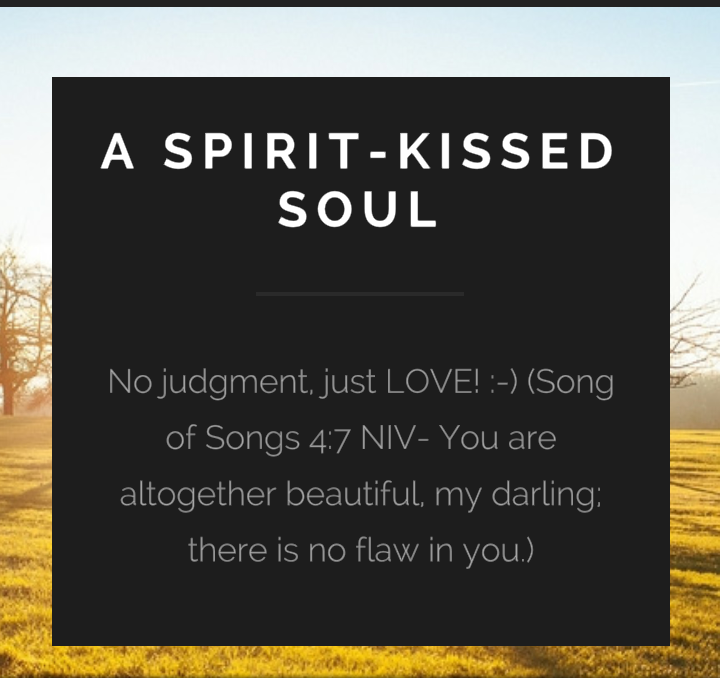 There have been many times where those very passages have come from the Song of Solomon. Whenever The Lord uses His Word as an avenue to speak to me, I first pray for revelation of that particular verse and then I start to mediate on it’s truth. This morning as He brought Song of Songs 1:15 to mind, there were also two other passages Scripture that I immediately began to reflect upon as well. The first one was (Matthew 6:22 AMP – “The eye is the lamp of the body; so if your eye is clear; spiritually perceptive, your whole body will be full of light; benefiting from God’s precepts.”). And the second one was (Matthew 3:16-17 NIV – As soon as Jesus was baptized, He went up out of the water. At that moment heaven was opened, and He saw The Spirit of God descending like a dove and alighting on Him. And a voice from heaven said, “This is My Son, whom I love; with Him I am well pleased.”). 1.) Our eyes are lamps to our bodies. Meaning, not only are they the light for our souls, but also how other people come to see the light within us. And 2.) Biblically speaking, doves are symbolic of The Spirit of God. Now with those two things in mind, let’s go back and reflect upon the words that Solomon had spoken to his bride-to-be in today’s focal verse. His words to her were, “How beautiful you are, My darling! Oh, how beautiful! Your eyes are doves.”. If you’ve read the entire first chapter of the Song of Solomon then you know that just a few verses before that, Solomon’s bride-to-be was conversing with him expressing to him how negatively she viewed herself. She asked him not to look at her out of fear that he would see her the same way she saw herself. She then proceeded to give him specific reasons why she felt so unattractive and unworthy. At first glance, it seems as if Solomon’s words to her were just to assure her of how beautiful she truly was to him from a physical standpoint. But what if his words to her had a much deeper connotation than just to express what he saw in her physical appearance? You see, as I was praying for revelation of what Solomon was saying, Holy Spirit revealed to me a deeper truth. I do in fact believe that his words were an expression of his attraction to her physical beauty, but I also believe that he wanted her to know that her true beauty wasn’t just physical. But that it was in fact when he looked into her eyes— because it was there that he saw and recognized The Spirit of God within her. To reflect upon those very same words with a more in depth perspective revealing an even deeper level of truth… I also believe that’s how The Father views us. In those moments when we’ve felt unworthy or less than, God is always there to remind us of the beauty that He sees within us— that radiates from the inside out. He never sees us as unworthy or broken the way we sometimes view ourselves. As His beloved, He connects with us Spirit to spirit. The deep in Him calls out to the deep within us. When He sees us, He recognizes the wholeness that is Him living on the inside of us. He sees us as whole, uniquely gifted, beautifully, fearfully, and wonderfully made just as He created us to be. So today, I just want to remind you that your worth and value has no limits. You are loved and treasured beyond measure. You are chosen, gifted, and empowered for greatness through The perfect and Holy Spirit of God living on the inside of you. Nothing is impossible for you! Beloved, your eyes are doves which means you have the capacity to see yourself and the world around you from Abba’s perspective and with His perception. You have the capacity to see and recognize His truth. And today, that is my heart’s greatest prayer for you. Abba, before we ask You for a single thing, we first say thank You for Who You are in us and for Who You’ve empowered us to become as we abide in You. Today, I simply ask that You would open our eyes that we may see ourselves and the world around us with the same love and beauty as You do. 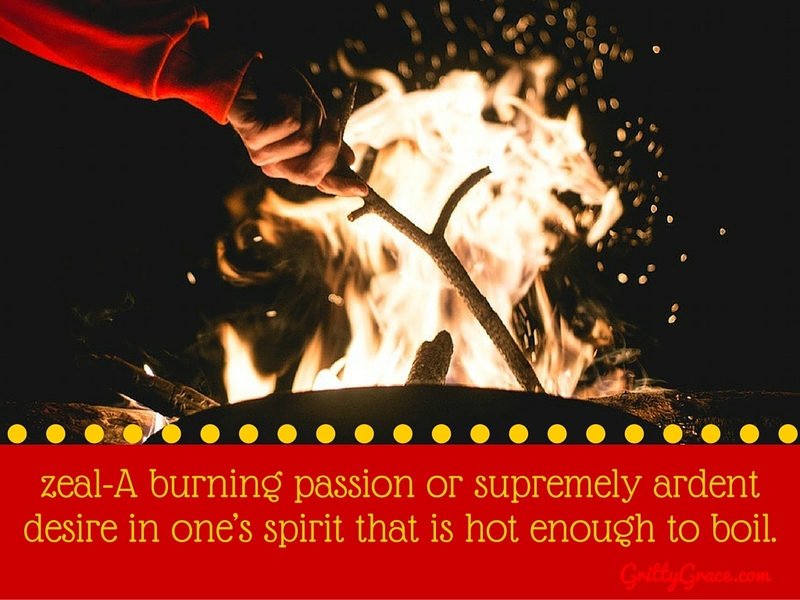 Let Your Holy Spirit awaken our hearts to the promises and purpose that You have chosen and set us apart for. Renew our minds with Your truth that we may rest and trust in Who You’ve called and created us to be. Help us to always recognize our worth in You and Your truth in us. Draw our hearts so closely to Yours that the vision You have for our lives would then become the vision that we in turn would have for ourselves. Lord, we love You and we’re so very grateful for Your Presence. In the name of Jesus Christ, Your precious Son and our Lord and Savior— I pray, Amen and so be it. Click on the following links to purchase: Amazon (paperback) / Kindle / Barnes & Noble (paperback) / Nook / Books-A-Million (paperback) / Books-A Million (E-book) / ibooks! Hi, Loves! I know it’s been a while, but I’m super excited to be connecting with all of you guys again! I’ve missed you so much! First, I just want to thank all of my fellow Writers and friends who’ve reached out to check on me during my little blogging hiatus. ;-)You all are the absolute best! I treasure you and I’m so grateful for you! Secondly, all blog posts will be posted on Sundays instead of Fridays from now on. And last but certainly not least, I am available to pray with or for you all throughout the day and you can contact me for prayer anytime by clicking here. This evening as I was just soaking in The Presence of God, I had a vision that left me weeping with tears of joy and praising The Lord for Him allowing me to experience and encounter Him in such an intimate and profoundly beautiful way. In this vision, I saw myself in a white flowing dress standing on what seemed to be a golden-paved pathway. The pathway was very long and on both sides of it there was this smoke arising that had a sweet-smelling aroma to it. I say smoke, but it was more like a vapor because there was a mist within it. I knew that I was in The Presence of The Lord and I felt this gentle tug upon my heart and noticed that without me ever taking a step His love was drawing me closer to Him. I never actually moved to walk, but before I knew it I was standing right in front of Him. I never saw The Lord Himself, but through this vapor-like cloud I saw His hand stretch out and begin to open as if He was going to place something within my hand. As I opened my hand He placed within it this beautiful, bright red, heart-shaped ruby. I closed my hand and drew it to my heart as we naturally often do with the things that we cherish. As I placed my closed hand over my heart I felt the heart that He had placed in my hand begin beat. When I opened my hand, what I saw was that that little heart-shaped ruby had been transformed and it was now in a beautiful gold setting that was connected to a gold necklace that was somehow already around my neck. And within the gold setting, the heart was pulsating with Life. When my hand let go of this little heart that now beating with The Life of our Lord, it fell to my chest and it was hanging perfectly positioned over my heart. I closed my eyes to savor the moment— this precious, Life-giving, life-changing moment where I could physically feel The Father’s heartbeat drumming against my own. In doing that, I began to intently focus on the rhythm of His heart and the very second I did that, my heart began to beat in perfect tune with His. Perhaps there was more that The Lord was going to show me tonight, but I was so undone by the river of His love that began to wash over me the very instance that our hearts started beat as one that tears of worship and adoration began to uncontrollably stream down my cheeks and there was this praise leaping within my soul that was longing to cry out to Him and couldn’t be contained any longer. I’m sharing this with you guys because I want you to know and understand that when The Lord said that He would give us a new heart and a new Spirit, He truly and wholeheartedly meant those very words. I think we often have the understanding that it’s just a metaphor of the transformation that takes place on the inside us once we’ve accepted Jesus as our Lord and Savior, but I’m here to tell you that it’s so much more than that. If we’re willing, God will not just give us a new heart, but His heart; a heart that doesn’t just beat because of Him in the sense that He’s our source of life or for Him in the sense that that’s how we offer ourselves to Him in worship, but a heart that beats with Him and with His heart. In receiving His heart, you’ll effortlessly feel His everlasting love for you. As your heart begins to beat in perfect rhythm with His you’ll begin to hear Him whispering to your heart His beloved thoughts towards you and all of the incredible plans that He has for your life. Abba, as You give us Your heart and pour out Your Holy Spirit within and upon us, give us the understanding and knowing to receive, embrace, and cherish it as not just mere words or as this metaphoric Christian ritual, but as Your very Life that You are so freely gifting to us that we may intimately know You and commune with You every single day of our lives. Lord, You and You alone are worthy. We love You and our hearts beat with affection, adoration, and gratitude toward You as The One True Living God and The Lover of our souls. In the name of Jesus Christ, Your precious Son, and our Lord and Savior— I pray, Amen and so be it. 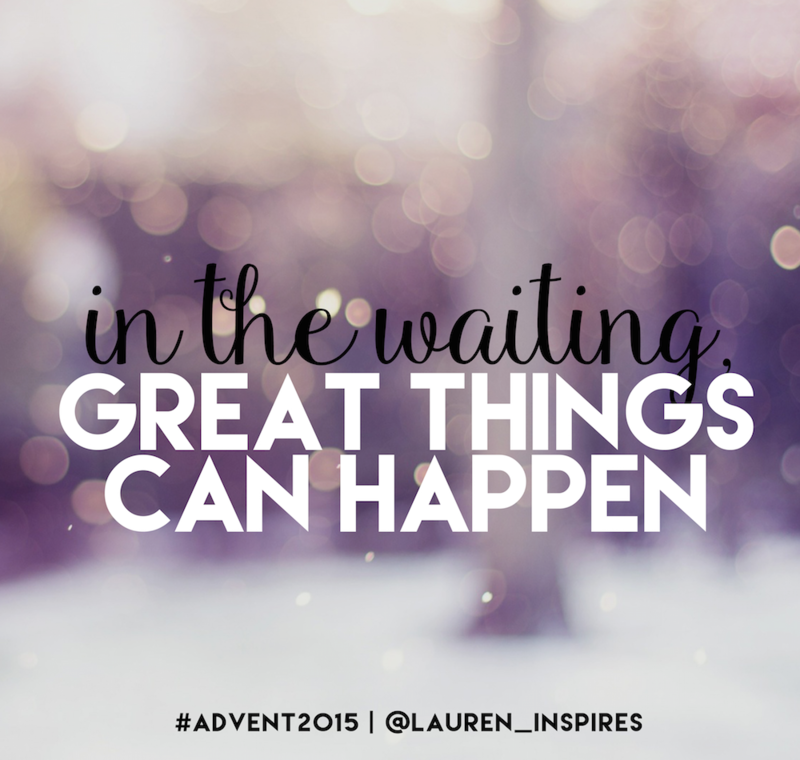 Dear Hearts, welcome to week 15 of the “Fridays Are For Faith ‘n Friends” blog hop! I’m so happy to have you guys join me today and I pray that you were truly blessed by today’s message. Also, know that I am available to pray with or for you all throughout the day and you can contact me for prayer anytime by clicking here. 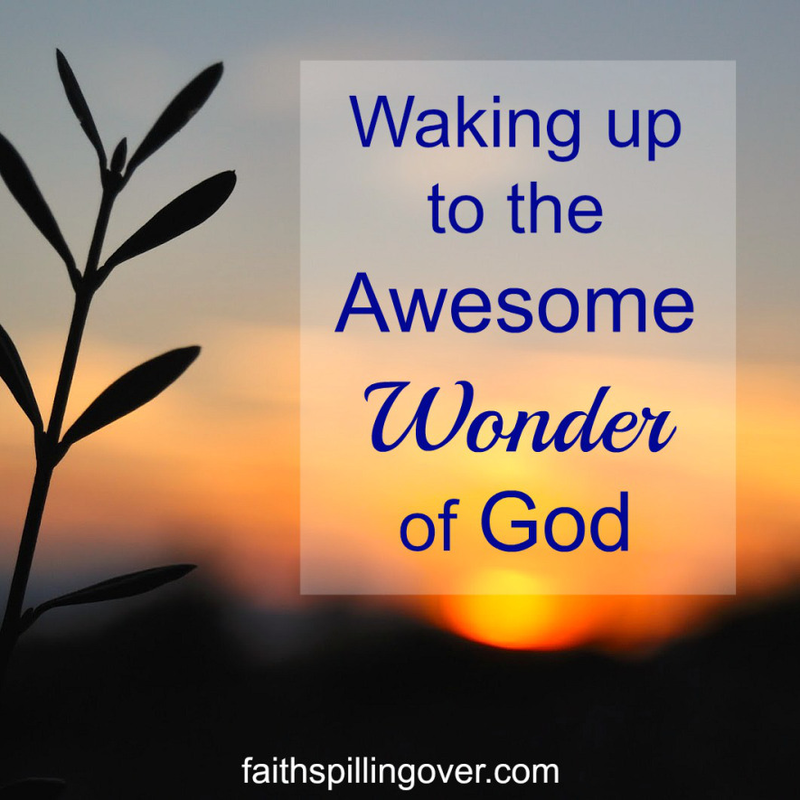 Thank you so much for joining the “Faith ‘n Friends” Blog Hop, Martha! My one word to focus on for this year is “be”. As I was spending the last few hours of 2015 entering into 2016 praying and just soaking in The Presence of God, He whispered to my heart, “Just simply be with Me.”. And so, my only focus this year is to just continually and intimately “be” with Him— reveling in His Presence and getting to know more of His heart every single day. I’ve been meditating on the entire Song of Songs for the last couple weeks and if you’re a regular here at “AS-KS”, you know that my heart delights in intimacy with The Lord. But the reason today’s focal verse truly echoed within my spirit is because a few months ago, The Lord said to me, “I’m taking you higher in Me.” and so as soon as I read— My Beloved spoke and said to me, “Arise, My darling, My beautiful one, come with Me”, those words came alive to me because the deeper The Lord allows me to experience Him and to know His heart— He’s still always in the midst sweetly and gently whispering to my soul, “And yet, there is deeper still. Come away with Me, my Love.” . There have been days when I’m cooking or just doing simple chores and He’ll say, “Come be with Me.”. You would think that if The Lord calls you to the secret place it’s because there’s something urgent on His heart that He’s longing to share with you. Well, in my experience, sometimes that’s true and I love those moments, but sometimes it’s not and I love those moments even more because sometimes He just simply wants to be with me and know that I’ll be obedient when He calls. And as His beloved, He lovingly calling out to you, “Smile, My beautiful one. Come away with Me, My Love.”. Abba, today and everyday forth, our hearts will fearlessly and faithfully respond to the deep in You whispering to the deep within us to come closer. I ask that as You continually draw us near to Your heartbeat that You would give us a divine understanding of Who You are as The Lover of our souls and what it truly means to be Your beautiful ones. We are endlessly grateful for Your perfect, unconditional love for us. Lord, we love You, we exalt You, and we are lovers of Your Holy Presence. In the name of Jesus Christ, Your precious Son, and our Lord and Savior— I pray, Amen and so be it. The song below is my go-to song to sing to The Lord when I just want Him to know that I love Him and He’s on my heart. I encourage you to listen first and then sing along as token of affection from your heart to His. Dear Hearts, welcome to week 14 of the “Fridays Are For Faith ‘n Friends” blog hop! I’m so happy to have you guys join me today and I pray that you were truly blessed by today’s message. Also, know that I am available to pray with or for you all throughout the day and you can contact me for prayer anytime by clicking here. 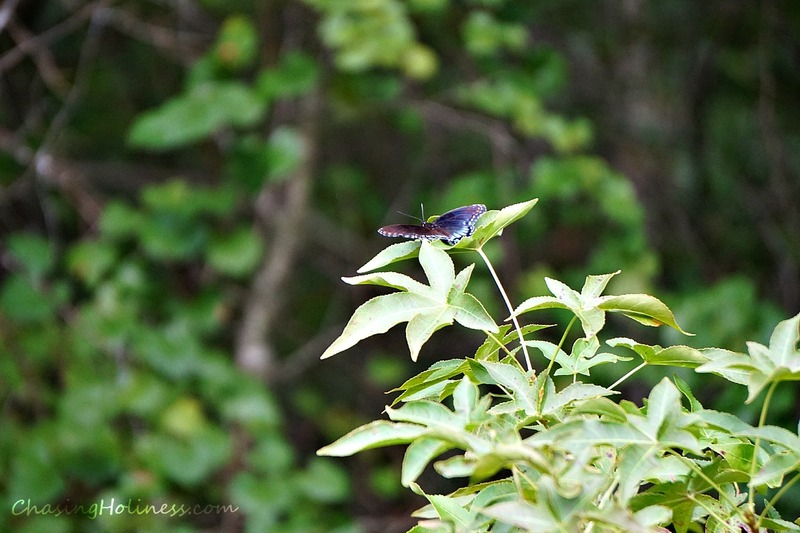 Thank you so much for joining the “Faith ‘n Friends” Blog Hop, Betsy! As The Lord began to write the words of today’s focal verse upon the walls of my heart, I felt those very words come to Life within my spirit. And so today, my Loves, I want you to be encouraged and know that our God is watching over His Word and every promise that He has spoken forth— He will perform. For His Words are perfect and true and They will never fail, but will accomplish the purpose in which He decided to draw you near and ever so gently whisper Them upon the tablets your souls. The promises of love and hope that He has planted within your heart in the secret place will bloom and be established in your life. The song below that I’m sharing with you guys this morning is one of my favorite worship songs. The beginning of the song says “The atmosphere is changing now. For The Spirit of The Lord is here. The evidence is all around and The Spirit of The Lord is here.”. With that being said, I leave you guys with three things to allow your hearts to embrace and your minds to reflect upon this morning: speak His Word, believe in It’s Truth, and watch for the evidence of His Presence as He performs those very words in your life. Abba, we come to You this morning first to say thank You for breathing Your Life within us and allowing us the beauty and privilege of entering into this new year. Words cannot express our gratitude for The Life that You have gifted to us through Your Holy Spirit. You are truly a good, good Father. And this day, as You are watching over The Word and promises that You’ve spoken to our hearts, we patiently wait upon the power of Your Presence to bring Them to Life. We love You, we honor You, and we give You all of the glory. In the name of Jesus Christ, Your precious Son, and our Lord and Savior— I pray, Amen and so be it. Dear Hearts, welcome to week 13 of the “Fridays Are For Faith ‘n Friends” blog hop! I’m so happy to have you guys join me this morning and I pray that you were truly blessed by today’s message. I didn’t get a chance to write last week, so I have two features for you guys this week! Also, know that I am available to pray with or for you all throughout the day and you can contact me for prayer anytime by clicking here. Happy Friday and Happy New Year! I love you guys! 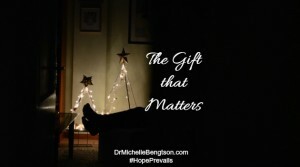 Thank you so much for joining the “Faith ‘n Friends” Blog Hop, Brenda and Dr. Michelle! The NLV translation of today’s focal verse says, “May my prayer be like special perfume before You. May the lifting up of my hands be like the evening gift given on the altar in worship. “. In mulling over the words of today’s focal verse, they began to deeply resonate within my spirit and have been permanently tattooed upon the walls of my heart since yesterday morning. I love intimacy with The Lord— the joy and peace that comes in sweetly communing with Him. It is my heart’s prayer that my words would always be a sweet-smelling fragrance of praise and honor before Him and that the lifting of my hands would be a sacred gift to Him on the altar before His Holy Presence in heartfelt worship. I have my very own love language with God and every single morning as I enter His Presence, I believe that my words leave a lasting impression upon His heart in the same manner that His Words are so deeply ingrained upon mine. If I could leave you guys with one thing to reflect upon today, it would be this: religion means nothing without relationship. With religion you get to know about Him, but with relationship, you get to know Him. It’s in knowing Him that our prayers become impressed upon His heart— that they become like a fine orchestra of music to His ears and a sweet aroma wafting before His Holy and perfect Presence. And so, my prayer for you guys this morning is that you would seek Him in the secret place for yourself and that you would not be content in just hearing about Him, but that you would long for an intimate relationship with Him; The One Who has not only given us life, but perpetually sustains our lives through His Life within us. Abba, we enter Your Presence with one desire this morning, and that is, with each second that passes by— our souls yearn to know and experience You in a deeper way. Father, we give You not just our hearts, but our entire lives. With every fiber of our being, we long for more of You. With every beat of our hearts, I pray that it be a sweet perfume that is forever arising before You and all of heaven. And with every breath we take, may it be a sacred gift of endless and fervent worship that lies upon the altar for You and You alone. Our heart’s desire is to forever intimately commune with You. We love You and we treasure each and every moment in Your Presence. In the name of Jesus Christ, Your precious Son, and our Lord and Savior— I pray, Amen and so be it. Dear Hearts, welcome to week 11 of the “Fridays Are For Faith ‘n Friends” blog hop! I’m so happy to have you guys join me this morning and I pray that you were truly blessed by today’s message. I didn’t get a chance to write last week, so I have two features for you guys this week! Also, know that I am available to pray with or for you all throughout the day and you can contact me for prayer anytime by clicking here. 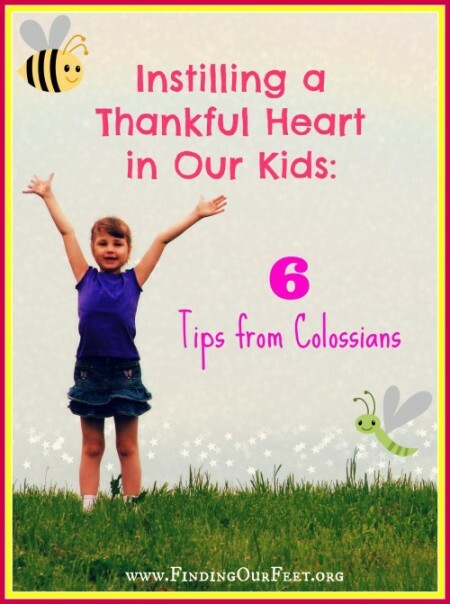 Thank you so much for joining the “Faith ‘n Friends” Blog Hop, Kristi and Lauren !